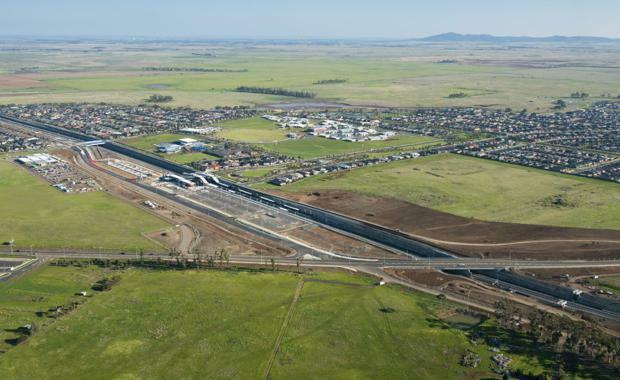 Melbourne has the highest volume of the greenfield land market in Australia, capturing 31 per cent of national sales, according to new quarterly research by the Urban Development Institute of Australia. The March 2015 quarter saw lot sales activity reach approximately 1,300 lots per month, the highest since 2010. Sales were up 14 per cent from the previous quarter and up by 41 per cent over last year. In Melbourne, there were 12 estates which achieved more than 20 lot sales per month over March 2015. Suburb by suburb, Wyndham recorded the most sales in the March 2015 quarter, followed by Casey. New lot releases are now 36 per cent higher than they were a year ago, and are at their highest level since early 2011. The number of active projects is now 160 - 11 more than the previous year and almost double than what it was at the end of 2010. Chief Executive Officer of the Urban Development Institute Danni Addison said the organisation's quarterly research update demonstrated the Melbourne market's continued strong performance. “Higher demand in Melbourne has been driven by an increase in the number of trading estates, competitive prices, robust established housing market and historically low interest rates," she said. “Coupled with this demand, healthy competition between developers is ensuring that Melbourne is producing the highest volumes of affordable land supply in the nation. "Melbourne’s $210,000 median lot price is low compared with the median lot price in Perth ($260,000), South-east Queensland ($250,000) and Metro Sydney ($395,000). Melbourne's median lot price represents a four per cent annual increase over the past year. At $272,000 per lot, Wyndham-Point Cook was the highest priced sub-market, followed by Melton-East ($240,000) and Casey ($229,000). The Urban Development Institute’s 2015 March quarter Greenfield research was developed through the National Land Survey Program by Charter Keck Cramer and Research4.